Fifth House Ensemble will be performing Unchained Melodies (2018) by Dan Visconti (b. 1982). There will be a 15-minute talkback with the audience following the performance. Unchained Melodies is a new modular chamber work with a contemporary twist that evokes the contrapuntal rigor of medieval music and the crafty puzzles of J.S. Bach. The composition is a collection of short solo pieces that can be combined in endless permutations ranging from duos all the way up to the full ensemble. A statement from composer Dan Visconti: Such a project allows me to truly stretch my craft and imagination as a composer. My goal is to create a new system of notation that will enable a satisfying and intellectually engaging musical performance in any form—an extension of the core principle of chamber music that all voices must contribute and that all are essential in shaping a musical dialogue. Unchained Melodies is a work designed to yield performances as diverse and varied as the performers themselves, allowing the musicians to put their own expression and identity to the fore in a way that is not typical for classical music. In its 2018-2019 season, Fifth House Ensemble presents a world-spanning collaboration with Tuvan throat-singing masters Alash Ensemble that explores storytelling, participation, and ritual through interviews and documentary video filmed on location in the remote Siberian republic. Sonic Meditations brings together folk storytelling, Deep Listening and meditation practices, and new commissions from Fresh Inc Festival alum William Pearson and Grammy-nominated video game composer Austin Wintory. Composer and Fifth House Artistic Director Dan Visconti’s musical puzzle, Unchained Melodies, forms another program of virtuosic solo pieces that combine in counterpoint to form duos, trios, and ultimately a full dectet. The world premiere of prolific opera composer Daron Hagen’s newest project, Orson Rehearsed, looks at the process of art through the lens of pivotal creative force Orson Welles. Also this season, Fifth House visits Ball State University (Muncie, IN), Georgia Tech University, The Harris Center (Folsom, CA), and MSU Denver with Journey LIVE, an interactive arrangement for Fifth House of Austin Wintory’s Grammy-nominated score responsive to live game play, and visits the Studebaker Theater, Chicago Latino Music Festival, Waukegan Chamber Music Society, Fermilab, Illinois State University, University of Dayton, Old Town School of Folk Music, and Southeast Missouri State University for performances, training workshops, and residency activities this season. Performances in previous seasons include those at Texas Performing Arts, LiveConnections (Philadelphia, PA), MAGFest music and gaming festival (National Harbor, MD), WFMT Impromptu (Chicago, IL), Steppenwolf Theater, the Forma Festival (Moscow), National Sawdust (NYC) and the Miller Theatre (NYC). Through the ensemble’s heartfelt social and civic practice work, Fifth House has co-created artistic projects with urban neighborhoods, social service organizations, and an agricultural community to spark conversations on issues that matter. Recent projects include Broken Text, a collaboration with Raven Theatre and DJ Searchl1te inspired by multi-week residencies at the Cook County Temporary Youth Detention Center and St. Leonard’s Ministries; Voices from the Dust Bowl, a collaboration with composer Steven Snowden and bluegrass band Henhouse Prowlers exploring stories from workers’ rights organizations nationwide; Nedudim, an exploration of music and cultural identity in collaboration with Baladino that engages Chicago-based organizations representing Israel, Iran, Germany and Spain, and Harvest, a year-long partnership with DePauw University and the Greencastle, IN community culminating in a Mother’s Day celebration of the people, places, and stories of Putnam County. Reaching 17,000 students annually through its arts-integrated educational programs, Fifth House connects K-12 core curricula to vivid, custom-crafted, and interactive musical experiences which challenge students to share and lead. A member of the Illinois Arts Council Association’s Arts-in-Education Roster, Fifth House has presented performances and residencies at Chicago public schools and the Chicago Cultural Center in partnership with the International Music Foundation, the Chicago Teachers’ Center, Chicago’s Department of Cultural Affairs and Special Events, Chicago Arts Partnerships in Education, and Ravinia’s Reach*Teach*Play program. As an extension of this work, Fifth House enters its fourth year of partnership with Loyola University’s Center for Urban Research and Learning this season, through which the ensemble is in residence at sites serving at-risk youth and adults including Deborah’s Place, Teen Living Programs, and Nancy B. Jefferson Alternative School at the Chicago Temporary Youth Detention Center. Fifth House also partners with Storycatchers Theatre as part of its residency at the detention center to develop new curriculum culminating in a new theatrical work based on participants’ own experiences. An established partner and resource to the nation’s top music schools and conservatories, Fifth House launches the careers of emerging artists through entrepreneurship residencies and training programs, including those at Yale College, Eastman School of Music, New England Conservatory, Indiana University, Roosevelt University, the Cleveland Institute of Music, UT-Austin, Northwestern University, San Francisco Conservatory, DePaul University, and the Colburn School. Recent creative partnerships have included those with The Cleveland Orchestra and the San Francisco Opera. 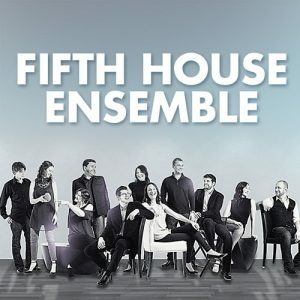 In 2012, Fifth House launched Fresh Inc, a two-week, intensive training program for emerging composers and performers where Fifth House works with participants on building careers in music in line with their own unique, vision and values. 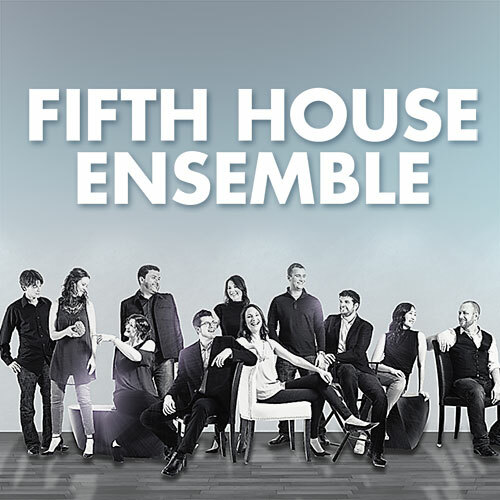 Fifth House is currently an Ensemble in Residence at the Music Institute of Chicago. Fifth House Ensemble is supported in part by the John D. and Catherine T. MacArthur Foundation, the Alphawood Foundation, The MacArthur Funds for Arts and Culture at The Richard H. Driehaus Foundation, the National Endowment for the Arts, the Steven R. Gerber Trust, the Gaylord and Dorothy Donnelley Foundation, a CityArts Grant from the City of Chicago Department of Cultural Affairs & Special Events, the Ann and Gordon Getty Foundation, the Elizabeth F. Cheney Foundation, and by a grant from the Illinois Arts Council Agency.